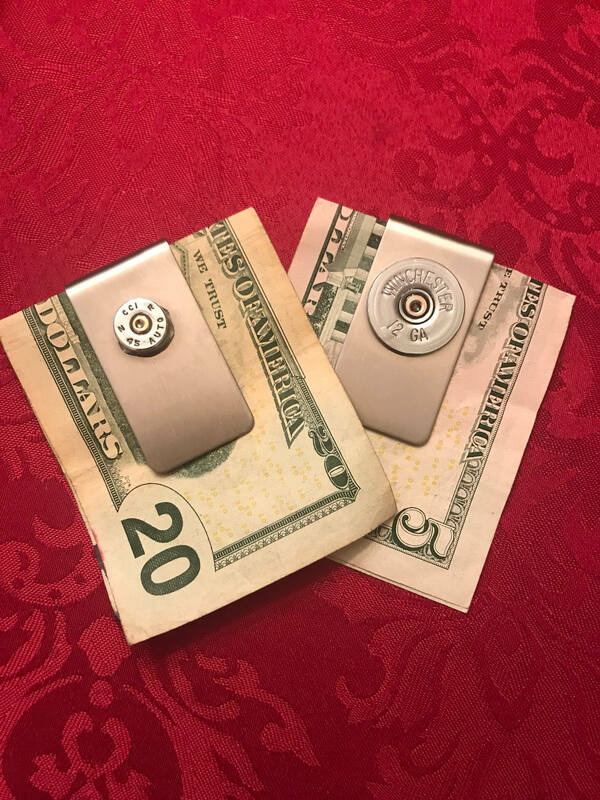 Stainless steel money clip or business card holder made with a shotgun shell or bullet casing. Available in 4 calibers listed or can often be special ordered with caliber you desire. Please send a convo before ordering if you desire a different casing or a specific brand name on the shell. Be sure to also check out my leather wallets with shotgun shells! Nicely made! This will be a nice Christmas gift!